I love anything that’s served in a bowl. It’s as if it tasted better because of it. #IKnowIamWeird haha. I also find that when eating vegetarian, garnishing a bowl with healthy nutrient is an easy thing to do. This recipe of quick and easy black beans recipe saved my life more than a couple times. It can be served with anything; roasted veggies, burrito, salad or anything you can fit into a bowl! 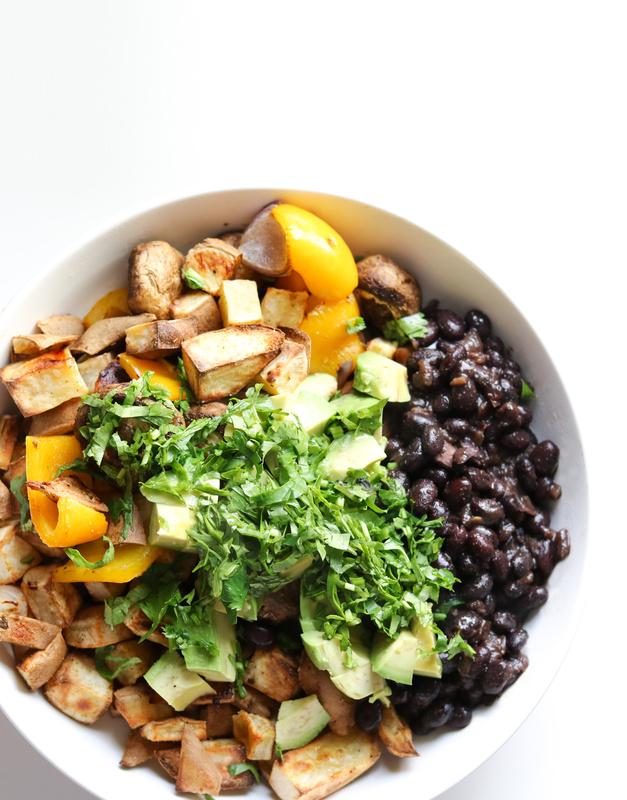 Here is my go-to recipe of black beans for a quick, easy and healthy dinner! In a large pan, add the olive oil. Over medium heat, roast the onion and the garlic for about 3 to 4 minutes. Stir in the ground cumin and roast for about 30 seconds stirring frequently. This is an important step, as it will release all the flavors of the cumin. Open and stir in the full can of black beans. Bring to a boil. Cook the beans over medium heat for about 5 minutes or until most of the liquid is evaporated.